The Academy was one of 60 schools nationwide, and one of only two schools in the state, that was highlighted in a Wall Street Journal article titled, "How to Get into Harvard," listing high schools that have a remarkable record of sending their students to elite colleges. In the past four years, two students have been awarded the highly-competitive Global Travel Scholarship by the Pittsburgh World Affairs Council, and two students have been selected to travel to Nepal/Sri Lanka with the U.S. Department of State-sponsored Youth Ambassadors' program. Recently, students have been inspired by their Global Issues: Call to Action class to design service trips to Haiti and Ireland. Each year a senior Global Studies Certificate student is named the Claudia Gallant Global Studies Scholar in recognition of exceptional achievement in the field of Global Studies. A $2,000 grant from the Whole Kids Foundation Garden Grant Project was awarded to SA’s Secret Garden. The grant will fund two fruit trees, garden beds, two rain barrels, and picnic tables to allow the Secret Garden to become a true outdoor classroom and community center. The Class of 2015 was offered more than $4.5 million in merit scholarships from colleges and universities. The SAT average for the Classes of 2012-2015 is 1902 on the 2400 scale. This is 405 points above the national SAT average! In the last four years, more than 50% of Academy graduates have been recognized as an AP Scholar. The 2013 Senior School literary arts magazine received a silver ranking from the Pennsylvania Scholastic Press Association and a rating of “Superior - Nominated for the Highest Award" from the National Council of Teachers of English, as well as the highly prized "First Place with Special Merit" from the American Scholastic Press Association. A Senior School student was awarded the Certificate for Superior Achievement in Writing by the National Council of Teachers of English. She was one of only six students in Pennsylvania to receive the award and was selected from a pool of 796 students from across the country. Through a generous grant from the Home & School Association, all faculty received iPads for use in their classrooms. During the 2013-14 school year, the Panthers won section championships in boys' golf, boys' soccer, and boys' tennis. For the first time in school history, the boys' baseball team progressed to the WPIAL semifinals and the PIAA tournament. Sewickley Academy was awarded the Trib Total Media/WPXI High School Sports Award for the second time in the award's two-year history for excellence in high school sports. During the second annual Day of Service, more than 800 students, faculty, and staff participated in 22 service projects across the region, donating over 6,400 hours of service. 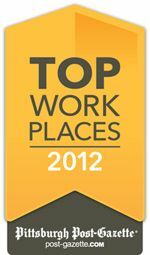 Sewickley Academy was named one of the best places to work in Pittsburgh by the Pittsburgh Post-Gazette and WorkplaceDynamics. The Academy was the only independent school to be recognized on the list.